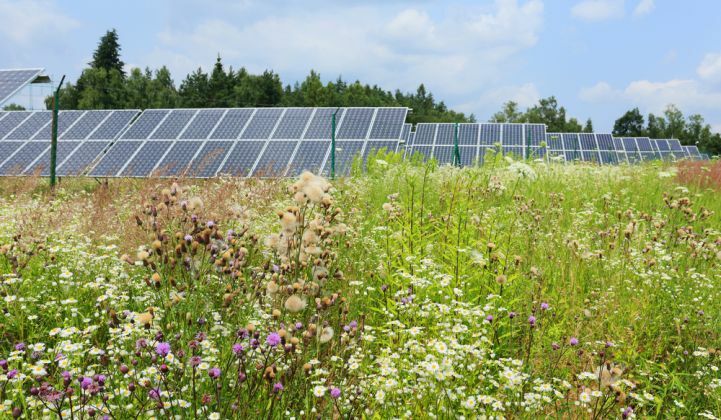 The nation’s first-ever attempt to have municipal governments collectively buy power from community solar gardens was a modest success, according to a recent report. While municipalities in other parts of the country have come together to buy rooftop solar, none had ever tried it to capture cost savings in the nascent community solar marketplace, said Trevor Drake, project manager at the Great Plains Institute. Minnesota has one of the country’s largest and best-developed community solar markets, with more than 100 megawatts expected to go live this year. The cities involved in the “Governmental Solar Garden Subscriber Collaborative” are expected to contract for about 33 megawatts, according to Drake. The program offered a gateway for communities looking to buy community solar, but which lack personnel who deeply understand the community solar industry. While the amount of power purchased through the program is significant -- it’s double the state’s solar capacity prior to 2016 -- the figure did not quite exceed expectations for a variety of reasons, said Drake. It was far less than the 180 megawatts the collaborative’s 31 government-related entities had originally suggested they would be willing to purchase when the effort began in 2015. The collaborative received bids to offer 70 megawatts before members contracted for about half that. On the other hand, every community that signed a 25-year contract with a community solar developer is going to save money over the long run, sometimes hundreds of thousands of dollars, and in some cases more than $1 million. “All opportunities provided a net positive in savings over the term of the contract,” he said, ranging on the higher end from $352,000 to nearly $1.5 million. Willett and the Metropolitan Council, a regional policy and planning organization, negotiated with solar developers on behalf of the group. The agency had a great deal of experience with procuring solar energy, including placing panels next to wastewater plants. The city has a 40-kilowatt solar array on its city hall and decided to add to its portfolio by purchasing 6 percent of 1 megawatt of solar from a developer through the collaborative. Drake said the purpose of the collaborative was fourfold: To gain quicker entry to the solar market; to attract better subscription pricing with larger purchases; to reduce staff time; and to save on electric bills. What happened between when the program started in 2015 and its conclusion last year led to fewer-than-expected subscriptions, an outcome attributable to several factors. First, Minnesota regulators capped the number of co-located 1-megawatt solar gardens any developer could build. Developers began selling co-located land they had bought, he said, leading to fewer options for government subscribers. Second, the federal Investment Tax Credit had been expected to phase out, adding confusion to the market. Third, businesses in the eastern metro area, including St. Paul, attracted few offers from developers and therefore little competition, Drake said. Part of the issue stemmed from a requirement in the state’s community solar garden law that subscribers either buy from a garden in their county or an adjacent county, Drake said. Hennepin County, home to Minneapolis, has solar gardens and borders several counties with active markets, he said. Ramsey, where St. Paul is located, had fewer opportunities during the collaborative because fewer gardens exist in border counties, he said. Finally, several developers “didn’t got their pricing [to levels] as competitive as we wanted,” Drake noted, and left government officials wondering where the financial advantage was to subscribing to a garden. For his part, Willett said the project took an enormous amount of staff time because of its complexity. A draft subscription model for buying solar, for example, was not accepted by any solar developers. They all proposed their own contracts before lawyers for both sides arrived at agreement individually tailored to each deal. The state’s data practices law got in the way because vendors wanted more privacy in presenting their offerings. Several randomized lotteries were held to sell community solar to the project’s members, Willett said. The lotteries had to be held because not every collaborative member could subscribe to the lowest-priced garden in their area. Lotteries gave governments the option of taking, or rejecting, a subscription offer, he said. For those governments that subscribed, all will receive substantial savings. Depending on the size of their contracts, it could be as much $1.5 million. And those subscribers told Drake developers are contacting them to see if they are interested in buying more solar. Still, Drake concedes “it’s not clear” the approach yielded better pricing. It was, he believes, a faster entry to the market but not nearly as rapid as the collaborative’s steering committee anticipated. Staff time was greatly reduced for many collaborative members, Drake said, largely because the Met Council handled the request for proposals, as well as the selection and negotiation processes. The most surprising finding came from those in the collaborative who cited peer learning as a significant benefit. The group held meetings, developed a website and webinars and other materials for members, fostering a sense of community. Willett said the collaborative achieved the Met Council’s desire to advance solar energy in the region and to assist local governments on innovative projects. After the project ended, the council received unsolicited bids from several community solar developers and took advantage of a few of them, he added. The collaborative, which ended last year, won the Environmental Initiative’s 2017 Community Action award. Its lessons, Drake believes, could inform other governments considering a plan to work together to purchase clean energy and other products and services. Frank Jossi is a reporter for Midwest Energy News. This article was originally published at Midwest Energy News and was reprinted with permission.